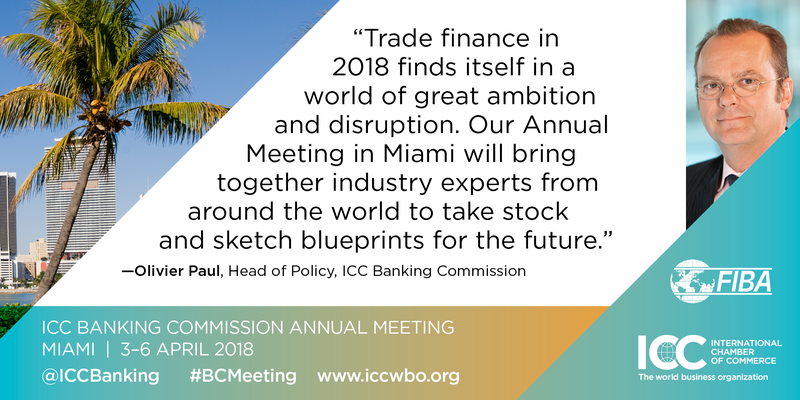 Under the theme ‘Navigating trade in a world of disruption’ the programme will feature 80+ high-level keynote and panel speakers in a host of interactive plenary and breakout sessions, as well as lively roundtable discussions addressing the most pertinent themes in trade finance. 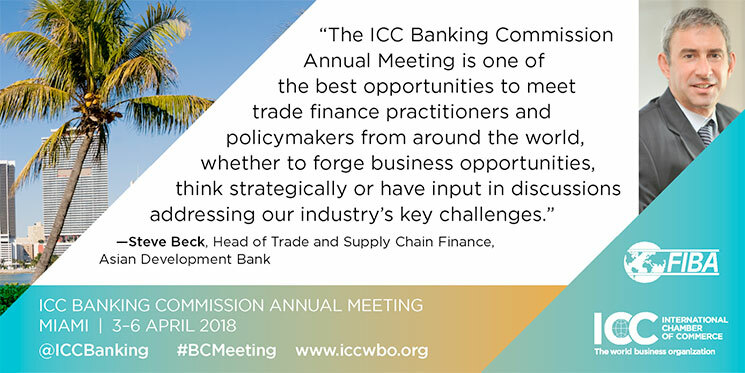 The regulatory framework, the opportunities and challenges for the industry, the on-going digital revolution, the need for competency and expertise to build robust market capabilities will all be discussed while highlighting opportunities across new trade corridors. 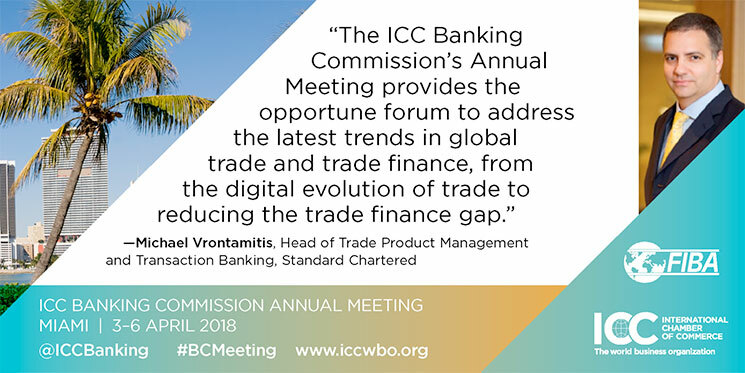 Executive Director – Trade Finance, JP Morgan Chase & Co.
On the online reservation form enter the group code BAN to benefit from the ICC preferred rate of $239.00 USD per night. Delegates are responsible for their own accommodation bookings and travel arrangements. Please consult our hotel list for contacts and to reserve with the ICC preferential rate. Registration The registration fee includes participation to the welcome cocktail, entry to the opening ceremony, gala dinner, plenary meeting programme, exhibition, lunches, coffee breaks, and welcome kit. Travel and hotel expenses are not included. 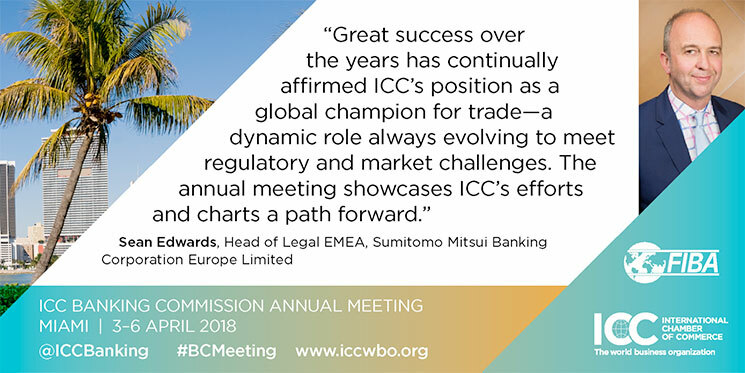 National Committees: One staff member from every ICC National Committee will be granted a complimentary entry. Complimentary entries are non-transferable and cannot be given away to non-NC staff representatives. To request a complimentary entry for your National Committee, please contact us. Task Forces: Meetings are not subject to registration fees. Should task force members choose to attend task force meetings only, online registration is not required, they will be contacted separately via email to confirm attendance. 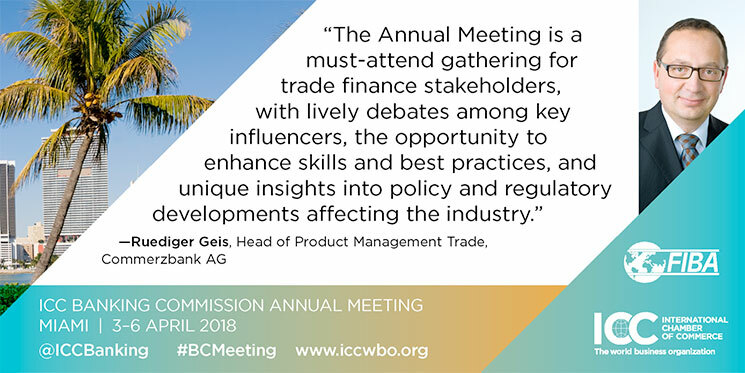 If attending the plenary meeting as well, they will need to register online using the above member’s registration code. 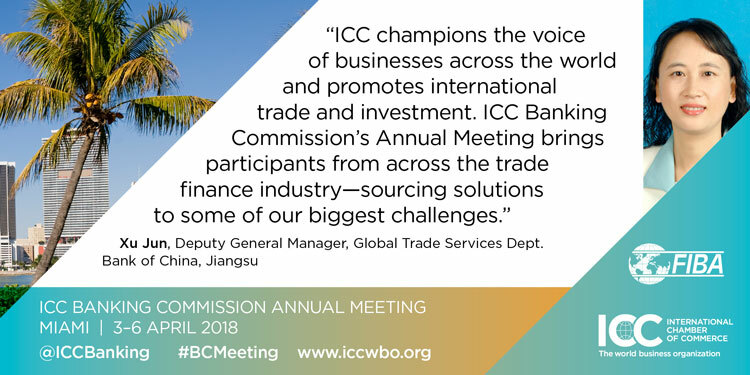 Xing AG, on behalf of the International Chamber of Commerce, is in charge of invoicing and payment handling through the online registration system. If you have any questions about payment including the below details to complete your payment by bank transfer, please contact Xing Events or 0800-2642636 (toll free). Travel Tips For travel advice, restaurants and other information see our guide. 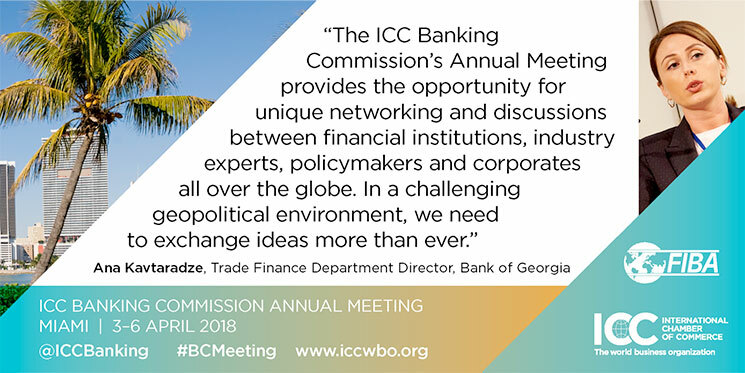 Credits This programme will be credited 12 credits towards the ICC Academy Accreditation programme and 12 PDUs towards the CDCS© and CSDG© Recertification Course Recognition by the London Institute of Banking and Finance. 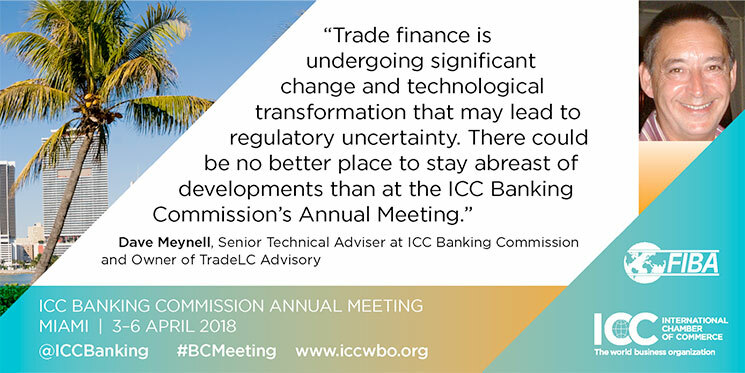 This conference offers you an unrivalled opportunity to maximize your visibility with trade finance leaders from around the world.